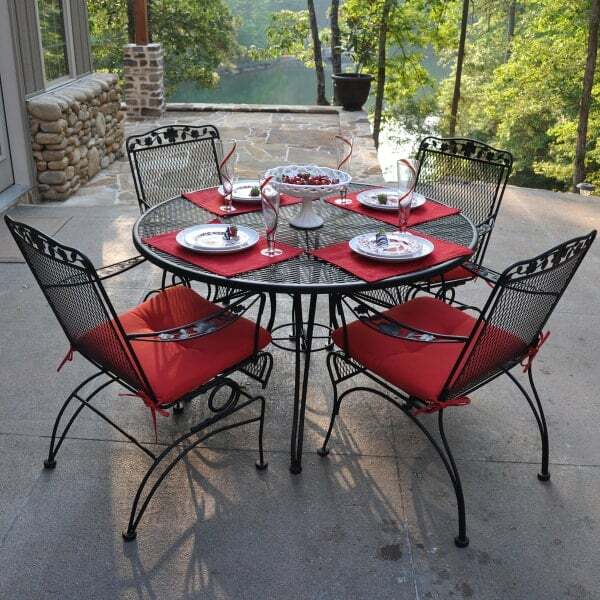 Classic wrought iron patio furniture found in gardens and on porches for generations inspired the Dogwood Dining Collection from Meadowcraft. 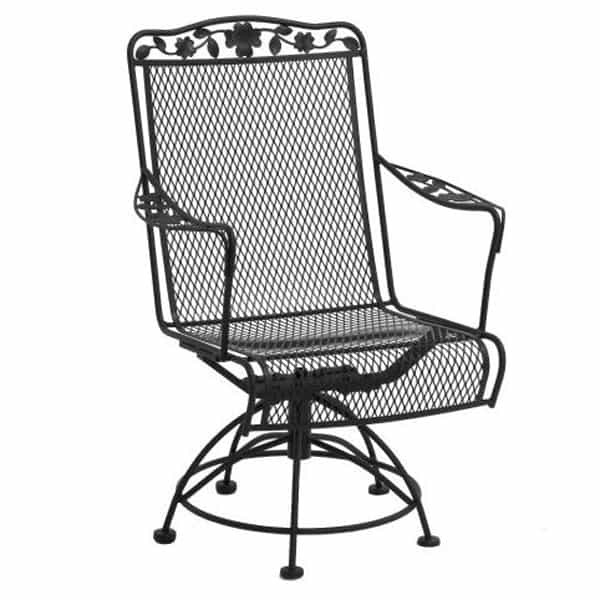 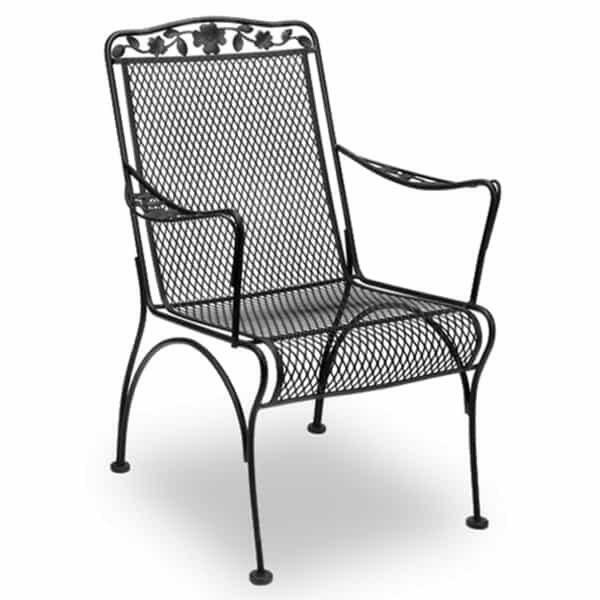 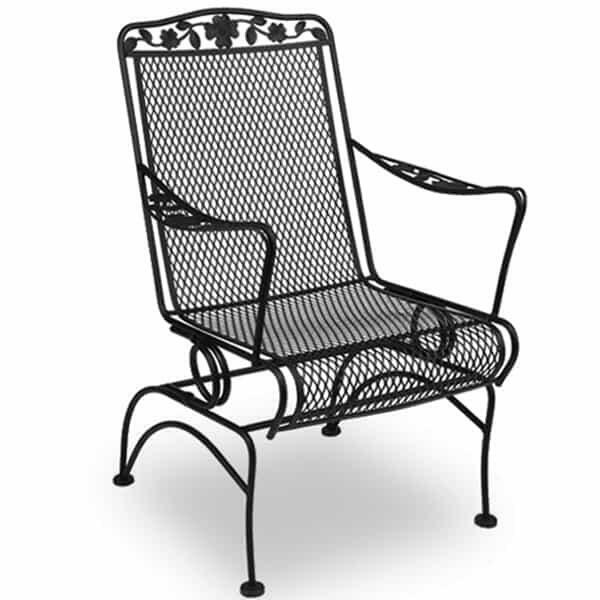 The arms and crests of each chair showcase a filigree floral design, a motif that has repeatedly appeared in wrought iron furniture for decades. In fact, the Dogwood Collection was first introduced by Meadowcraft more than 50 years ago and the look still endures today. 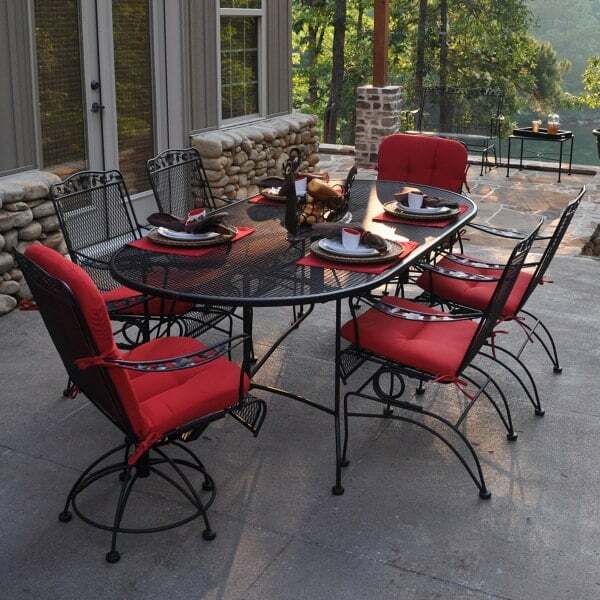 So if you require a distinguished patio furniture collection that will never go out of style, you must consider the Dogwood Collection from Meadowcraft and Family Leisure. 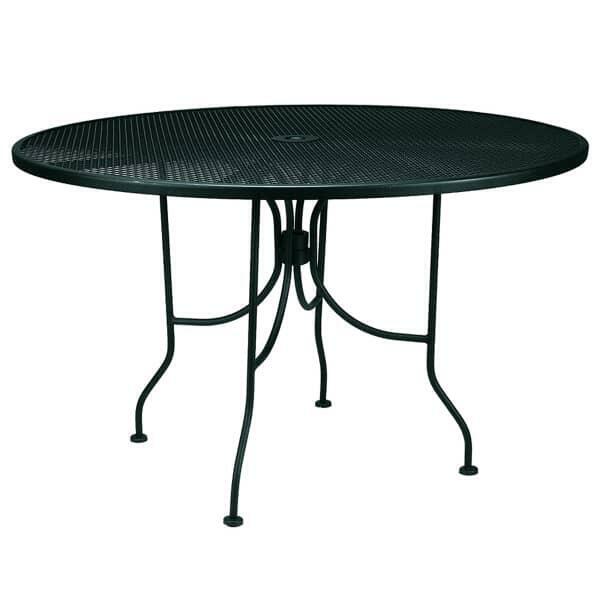 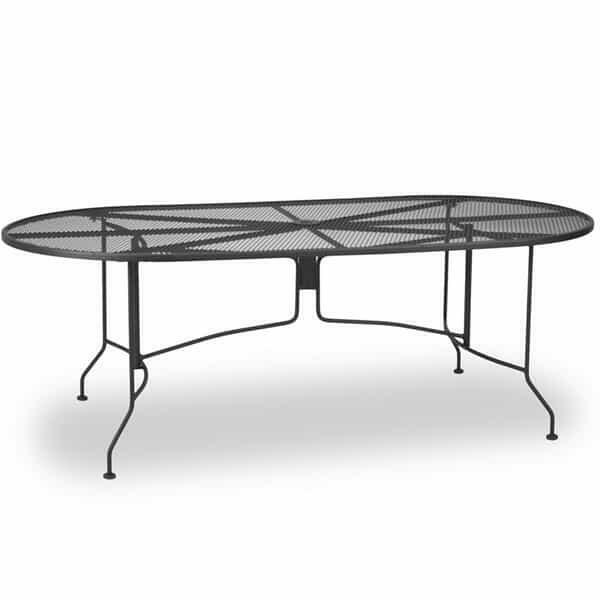 48" Round Mesh Table W48"xD48"
84" Oval Mesh Table W42"xD84"